If you are looking for a fun and exciting fishing hole, you must make the Lilly Pad Village one of your stops. Our catch and release fishing pond is stocked with cat fish, bass and brim! This is a great activity not only for kids but for the serious at heart also. The Lilly Pad is built around a 1/3 acre beautiful pond, which is full of life. From catfish and brim through small mouth bass the pond is full of fish. We do stock the pond regularly, however please remember that catching a fish also depends on other factors such as weather, time of day, season, skill and luck. As much as we would love to guarantee a catch we just do not control mother nature. We offer a comfortable dock that is perfectly suited for the young ones setting out to catch their very first fish. Moms, Dads and kids of all ages are welcome to try their luck. 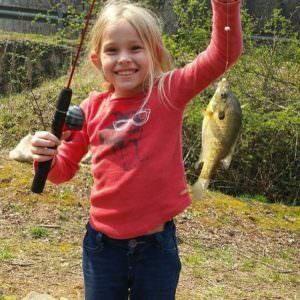 It is just amazing to see kids have the time of their lives actually hooking their first fish. The Lilly Pad Pond is a very safe and family friendly environment. So come and enjoy the serene setting of nature at its best. We even offer additional seating overlooking the dock and pond for friends and family who wish to simply sit back and enjoy beautiful and comfortable setting while watching their loved one catch Catfish, Brim and Bass. If you have your own rods and reels, please feel free to bring them or simply rent ours! However, our fishing is catch and release so we ask that no treble hooks or corn is used. We do not pre-sell tickets for fishing as since space is limited, we do not want to disappoint you with a full dock when you arrive. 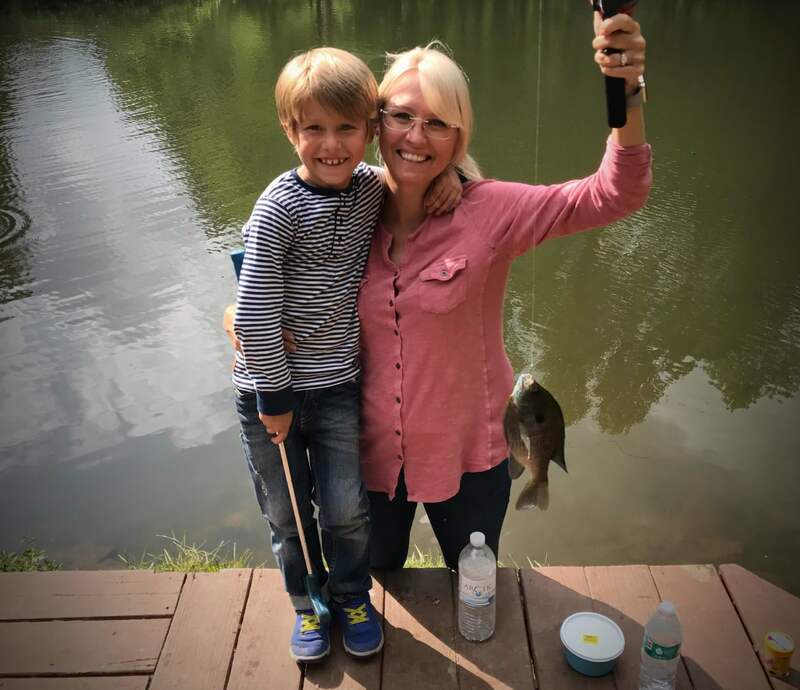 Fishing in the Lilly Pond is unlimited for the day, however on peak months (July) and busy holiday weekends we reserve the right to limit fishing to two hours per group. You can of course rent the Lilly Pad Cottage, and have your own private fishing pond. Want to take a little break from fishing? Try the area's best gem mining attraction.